Despite the multiparty nature of French elections, for the past generation France has been essentially ruled by a two-party system, with government power alternating between the Socialist Party, roughly the equivalent of the U.S. Democratic Party, and a party inherited from the Gaullist tradition which has gone through various name changes before recently settling on calling itself Les Républicains (LR),in obvious imitation of the United States. For decades, there has been nothing “socialist” about the Socialist Party and nothing Gaullist about The Republicans. In reality, both have adopted neoliberal economic policies, or more precisely, they have followed European Union directives requiring member states to adopt neoliberal economic policies. Especially since the adoption of the common currency, the euro, a little over fifteen years ago, those economic policies have become tangibly harmful to France, hastening its deindustrialization, the ruin of its farmers and the growing indebtedness of the State to private banks. Mélenchonran a spectacularly popular campaign, leaving the Socialist Party far behind (the party he personally left behind years ago). 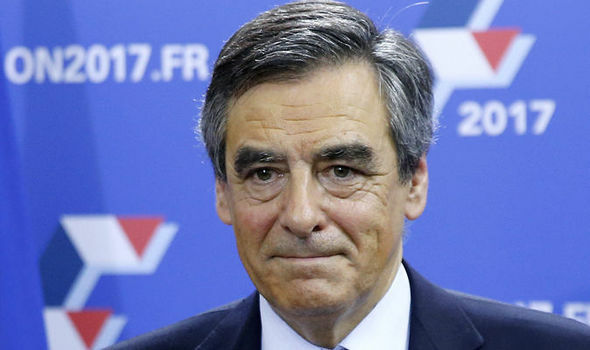 Initially, as he seemed to be taking votes away from Le Pen as well as from the Socialists, he got friendly media coverage, but as he came closer to making it to the decisive second round, the tone started to change. Just as Le Pen was finally knocked out as a “fascist”, there is little doubt that had Mélenchon been Macron’s challenger, he would have been increasingly denounced as “communist”. Mélenchon is intelligent enough to have realized that the social policies he advocates cannot be achieved unless France recovers control of its currency. He therefore took a stand against both NATO and the euro. So did Marine Le Pen. Mélenchon was embarrassed by the resemblance between their two programs, and contrary to other eliminated candidates, refrained from endorsing Macron, instead calling on his movement, La France Insoumise, to choose between Macron and abstention. Finally, 25% of Mélenchon voters abstained in the second round, but 62% voted for Macron– almost exclusively motivated by the alleged need to “stop fascism”. That compares with the final total results of 66% for Macron and 34 % for Le Pen. 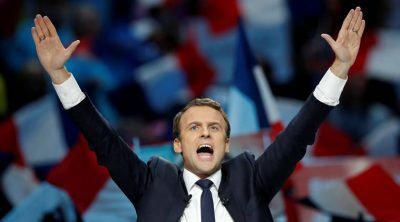 Despite his loud appeal to “youth”, Macron was elected by France’s huge population of old people. Among voters over 65, he won 80% against 20% for Le Pen. Marine Le Pen did best with the youngest age group, 18 to 24, winning 44% against Macron’s 56%[i]. The differences were also significant between socio-professional categories. 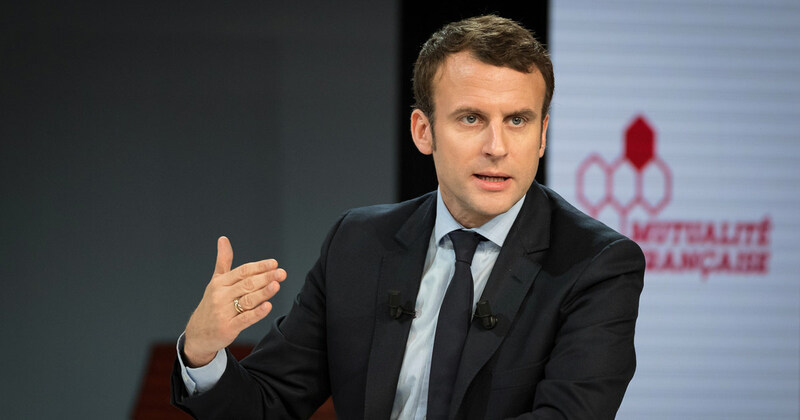 Macron won a whopping 83% of the votes coming from the “superior socio-professional categories” –categories where the “winners” in competitive society are largely ensconced. But in what are described as “categories populaires”, a French term for ordinary folk, with less education, the vote was 53% in favor of Le Pen. And she confirmed her position as favorite candidate of the working class, winning 63% of workers’ votes. Note that the “superior socio-professional categories” are where the significance of these results will be defined. Individuals from that category – journalists, commentators and show business personalities –are all in a position to spread the word that this vote indicates that the workers must be “racist”, and therefore that we have narrowly escaped being taken over by “fascism”. Another advantage would have been the demise of the National Front. Since Marine Le Pen took over the notorious party founded by her reactionary father, it has kept a precarious balance between two opposing wings. There is the right wing in the southeast, along the Riviera, the bastion of the party’s founder, Jean-Marie Le Pen, a region represented in the outgoing parliament by his conservative granddaughter Marion Maréchal Le Pen. In the old industrial northeast region, between Arras and Lille, Marine Le Pen has built her own bastion,as champion of ordinary working people, where she won a majority of votes in the presidential election. This is not the only time in history when an heiress has gone away with the heritage to join someone of whom her father disapproves. All those who want to cling to their comforting hatred of the left’s official Satan have trouble believing that Marine Le Pen broke with her reactionary father to go her own way (just as U.S. hawks couldn’t believe in Gorbachev).This change owes everything to her encounter with Florian Philippot, an intellectual who gave up on the ability of the Socialists to face the real issues. Marine has the personal qualities of a leader, and Philippot provided the intellectual substance she needed. 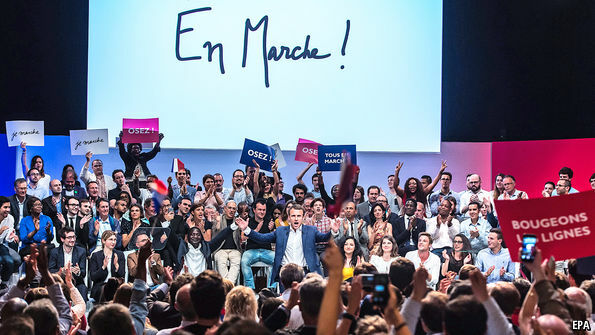 Marine has decisively chosen Philippot as her advisor and co-leader, despite grumblings by Jean-Marie that she has been led astray by a gay Marxist. Had Marine won, her left wing would have been strengthened enough to enable her and Philippot to scrap the National Front and found a new “Patriot Party”. However, by scoring below 40%, she has weakened her authority and must try to hold the troublesome party together in order to win seats in the new parliament – which will not be easy. But not to worry, none of this “fascist” program would ever have come to pass. If she had won, bands of protesting “antifascists” would have invaded the streets, smashing windows and attacking police. 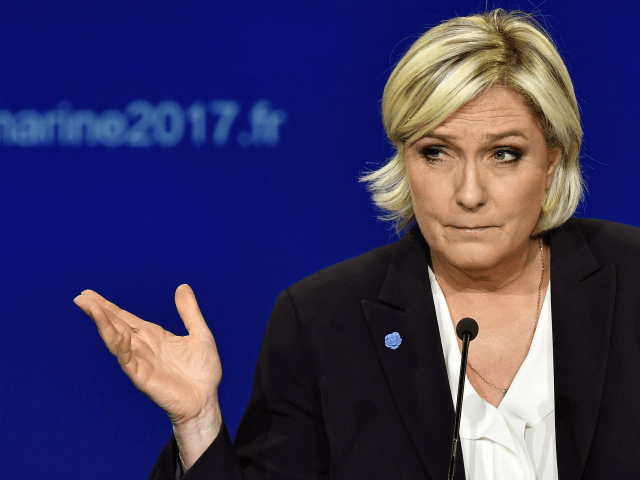 The outgoing Socialist government was preparing to use the resulting chaos as a pretext to stay in power long enough to manage the parliamentary elections, ensuring that President Marine Le Pen would be held in check. A “color revolution” was ready to be stirred up.The deep state is vigilant in NATOland. 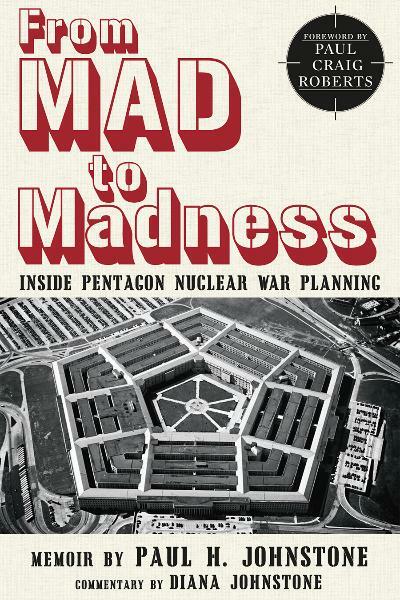 Diana Johnstone is co-author of “From MAD to Madness: Inside Pentagon Nuclear War Planning”, by Paul H. Johnstone, her father. (published by ClarityPress).